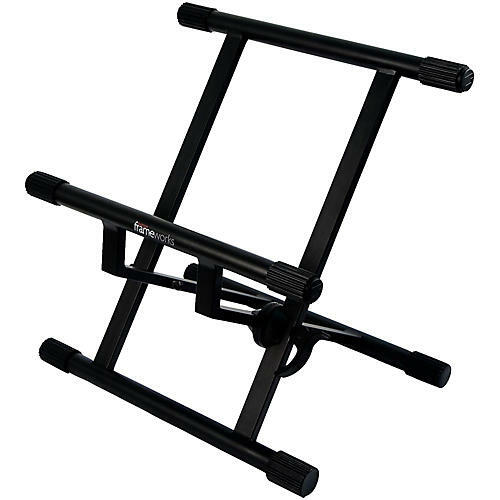 Frameworks combo amp stand with rubberized leveling feet and tilt-back design accommodates most combo guitar amps. 176 lb. capacity.